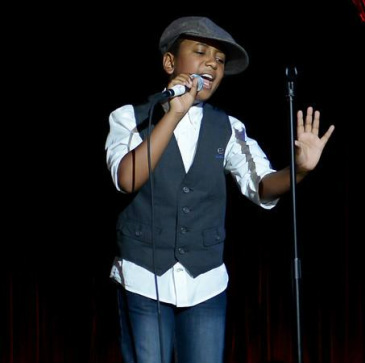 Darius Kaleb is one of the most sought after young broadway actors. He will play the role of Timmy Towgate. Here's how it's billed: "In this compelling and smart new musical, the island of Nollop is thrown into chaos when letters fall one by one from the epitaph on a statue of a revered historical figure in the town square. Taking it as a sign, the local government forbids the use of each letter as it falls. As infractions are met with harsher and harsher punishments, one brave woman leads the fight to save the English language from shrinking into prehistoric grunts. Lilias White, Amber Iman, Alan H. Green, Eden Duncan-Smith, Reed Armstrong, Shira Averbuch, Jennifer Babiak, Aisha de Haas, Harriet Foy Capathia Jenkins, Connie Pachl, Gary Sorenson, Charles E. Walllace, Jared Young. Carnegie Hall. Celebrating the 40th Anniversay of The Wiz for The Black Stars of The Great White Way. Celebrating 100 years of contributions, influence and legacy of African American Men at Carnegie Hall and on Broadway. I am apart of HISTORY!! "BEST REVIVAL OF A PLAY"
young boys to book two hit high profile Broadway shows back to back. Darius Kaleb is one of the most sought after young actors to date. Come on in and take a tour and get to know a little about me!